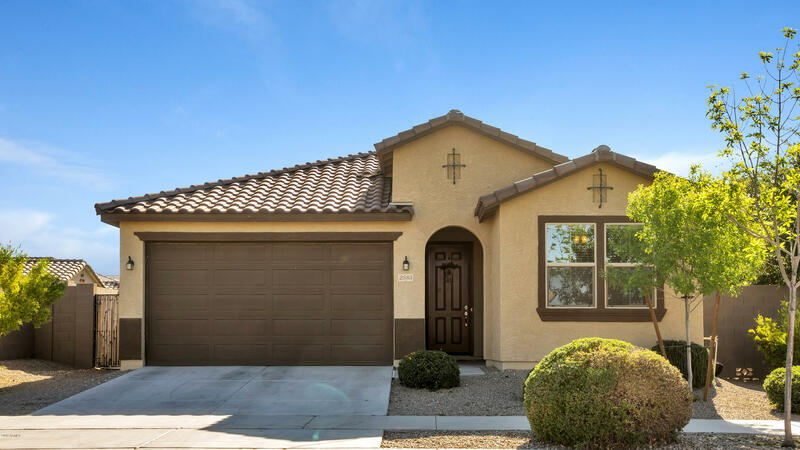 All SIN LOMAS homes currently listed for sale in Goodyear as of 04/26/2019 are shown below. You can change the search criteria at any time by pressing the 'Change Search' button below. "Come and see this beautiful home! The welcoming, well-kept kitchen opens to the spacious great room. Both the kitchen and great room are fully tiled! The kitchen features upgraded appliances and cabinets that have roll-out shelves. There is a water softener and RO system installed. The entire home is professionally painted. There are ceiling fans and 2'' blinds throughout the house. The professionally installed invisible TV wiring in the great room is ideal for entertainment. This home is move-i"